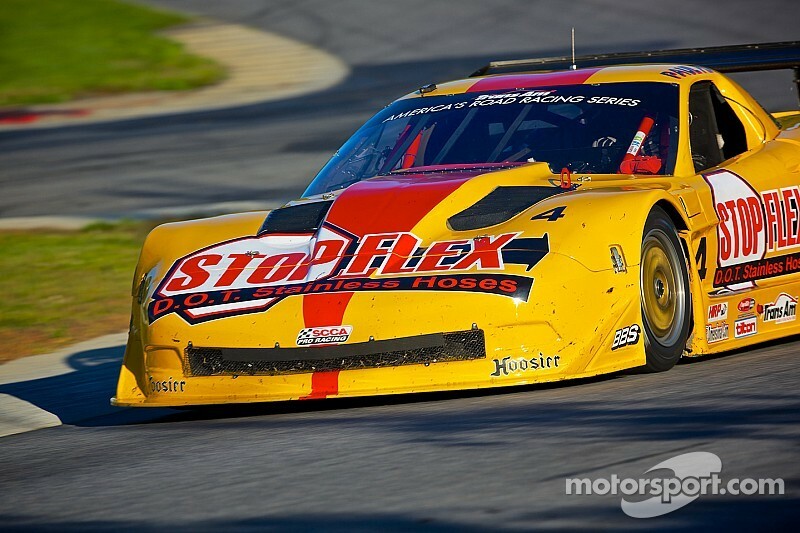 Paul Fix captured his second consecutive Trans Am victory from behind the wheel of the No. 4 StopFlex.com/Tony Ave Racing Chevrolet Corvette at Virginia International Raceway (VIR); while his teammate Doug Peterson, in the No. 87 3Dimensional.com Chevrolet Corvette, came in second, securing a one-two finish for Tony Ave Racing and the 2014 Trans Am Championship for himself, defending his title from 2013. In TA2, Adam Andretti, in the No. 44 Engineered Components Chevrolet Camaro, completed a drive for the Trans Am history books, coming up from his starting position of 15th in class to claim victory in what was a exciting, if somewhat tumultuous, finish for the TA2 class, moving within one point of defending TA2 Champion Cameron Lawrence and setting up a showdown for the TA2 Championship at Daytona International Speedway at the season finale. In TA3’s American Muscle Group, Ernie Francis, Jr., in the No. 9 Breathless Performance Chevrolet Camaro, led the entire race—capturing victory, but also capturing the 2014 TA3 American Muscle Championship, and in doing so becoming the youngest Trans Am Champion ever at only 16 years of age. Jason Berkeley was victorious in the TA3 International Group after starting second in class, powering the No. 67 BMG Management Chevrolet Corvette to its third win this year and taking the lead in the group’s point standings going into Daytona. The race began with Fix atop the grid of 39 cars, a record for Trans Am and the VIR course, with teammate Peterson alongside and the No. 59 Derhaag Motorsports Chevrolet Corvette of Simon Gregg in third, Amy Ruman, in the No. 23 McNichols Company Chevrolet Corvette, in fourth position, and John Baucom, in the No. 86 Baucom Motorsports Ford Mustang, in fifth. During the first lap of the race Ruman jumped ahead of Gregg for one of her customary fast starts and began her pursuit of Peterson, while Fix quickly built up a gap between himself and Peterson over the course of the first five laps. Kevin Poitras, in the No. 73 PostPlastics Chevrolet Camaro, started in fourth, while Bob Stretch, in the No. 98 FixRim/Wheels America Chevrolet Camaro, started fifth. Buffomante was able to build a slight gap at the beginning of the race, but Lawrence remained no more than a couple car lengths behind, tailing the pole sitter throughout the first 12 laps of the race, until the No. 1 began to experience mechanical issues, forcing the defending Champion into the pits on two consecutive laps, 13 and 14, as the Miller Racing team worked relentlessly to try and get the No. 1 back up to speed. Ron Keith quickly took advantage of Lawrence’s misfortune, moving up to second, but it was the No. 44 of Adam Andretti that was capturing the spectators’ attention. 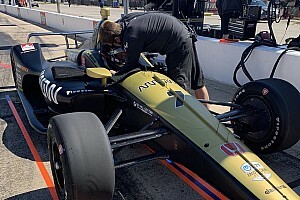 Andretti had been forced to move to the back of the TA2 field after replacing the tires on the No. 44 machine. Undeterred, Andretti began to move his way up through the field, moving up five positions in his first lap, then settling into a rhythm, grabbing one or two positions a lap until finding himself third on lap 13 of the race, behind the Mike Cope duo of Buffomante and Keith, where the trio remained going into the first full-course caution of the race on lap 16 to retrieve the No. 17 XLR Diesel Trucks Ford Mustang of Steve Kent, Jr., which was stopped on course. The duration of the yellow would be extended to retrieve the No. 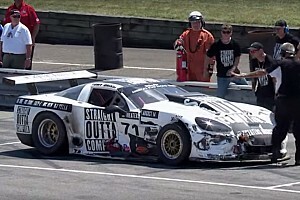 1 of Lawrence, as the champ tried to re-enter the race before suffering a failure at turn five. Racing would resume on the 21st lap of the race as Fix resumed his work of rebuilding his lead, meticulously logging lap after lap; however, behind him, his teammate, Doug Peterson, was having to fend off the continual challenges of Amy Ruman. At the end of the day, the competitors would cross the finish line in that order, marking Fix’s second consecutive victory in the TA class in what has been a dominate performance over the past two rounds, as he’s led the past eight sessions on track in relative comfort. 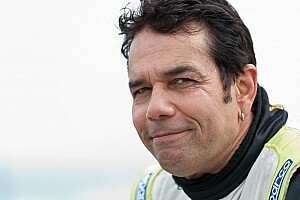 Doug Peterson crossed the line in second, but was able to secure the 2014 Trans Am Championship for the second year in a row, becoming one of only the seventh drivers to secure consecutive Championships in Trans Am history, joining Tony Ave, Paul Gentilozzi, Tommy Kendall, Wally Dallenbach, Jr., Peter Gregg and Mark Donohue. 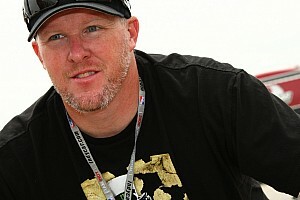 Peterson’s finish also secured a one-two finish for Tony Ave Racing and the team’s fourth Championship in five years. Amy Ruman would finish third and will now have her sights set on catching Simon Gregg who finished fourth, in the race for second place come the end of the season at Daytona International Speedway. Meanwhile, John Baucom would finish fifth after falling as far behind as 11th position. TA2’s finish was far more climatic. Tony Buffomante continued to set the pace from behind the wheel of the No. 79 going into the final three laps of the race, but the Ilmor Powered machine began to experience fuel pickup issues, forcing Buffomante to take measures into his own hands, shaking the car for gas until the rear wheels locked up on the No. 79, causing it to make contact with the No. 44 of Andretti, who was running in second at the time. Both the No. 79 and 44 spun, and while Andretti was able to regain control, Buffomante remained suspended sideways on track. Teammate Ron Keith came around the corner and, with nowhere to go, made contact with the No. 79, taking both cars out of the race. Andretti would continue underway; while Kevin Poitras, also of Mike Cope Racing, would move up into second and Bob Stretch would move up into third as the three drivers continued in that order past the checkered flag. The victory moved Andretti within one point of Lawrence in the TA2 Championship standings, setting up a showdown between the two drivers going into Daytona. Kevin Poitras would finish second, tied for his highest on the year and moving up into third in the TA2 Championship standings, setting up another battle for end of year position in the class, this time with teammate Ron Keith. Bob Stretch would finish third, moving up to fifth in the points, while Gar Robinson, in the No. 64 74Ranch Resort Chevrolet Camaro, would finish fourth—his second fourth place finish in a row. Tom West, in the No. 56 Limerick Machine Company/ Treelaine Chevrolet Camaro, would finish fifth. In TA3’s American Muscle Group, Ernie Francis, Jr., led the way from behind the No. 9 Breathless Performance Chevrolet Camaro the entire duration of the race, as he has on multiple occasions this year. This was his second consecutive victory; but, more importantly, he captured the TA3 American Muscle Championship and the history books, as he became the youngest Trans Am Champion ever at the age of 16, overtaking the mark set by Cameron Lawrence last year and Wally Dallenbach, Jr., in 1987. Todd Napieralski, in the No. 39 TPR/Tremec/BackStreet Performance Chevrolet Camaro, would finish second after starting third, increasing his points total in his battle with defending Champion Chuck Cassaro for a spot on the end of the year podium; and Rich Jones, in the No. 37 JOMAC Truck Bodies and Cranes/ Deb’s Peppers Ford Mustang, would finish third after starting fifth in class. In TA3’s International Group, it was Jason Berkeley, in the No. 67 BMG Management Chevrolet Corvette, who would claim victory after starting second. Berkeley was able to navigate the on course traffic and outlast pole sitter Russ Snow, in the No. 20 Carbotech Chevrolet Corvette who suffered a mechanical failure, for the victory, his second in a row. Berkeley is now the TA3 International points leader, leapfrogging Norm Betts, who finished second in the race behind the wheel of the No. 82 VP Fuels/Hoosier Chevrolet Corvette, for the Championship lead. Trans Am will return to the track for the finale of the 2014 Trans Am Championship at Daytona International Speedway on November 15, as more Champions are crowned and another year of Trans Am racing goes into the history books.